Set against the backdrop of the 1950s Cold War in Poland, two people of differing backgrounds and temperaments begin an almost impossible romance. Cold War is a passionate love story between a man and a woman who meet in the ruins of post-war Poland. With vastly different backgrounds and temperaments, they are fatefully mismatched and yet condemned to each other. Set against the background of the Cold War in 1950s Poland, Berlin, Yugoslavia and Paris, it’s the tale of a couple separated by politics, character flaws and unfortunate twists of fate — an impossible love story in impossible times. 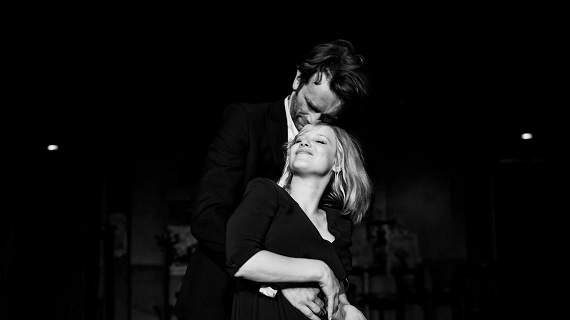 Cold War earned Pawel Pawlikowski the Best Director award at the 2018 Cannes Film Festival, and has been nominated for three Oscars: Best Director, Best Foreign Language Film, and Best Cinematography - Lukasz Zal. Pawlikowski’s previous film, Ida, was a global success, winning the Oscar® and BAFTA foreign-language film awards as well as five European Film Awards including Best European film, Director and Screenplay. His other feature credits include My Summer of Love and Last Resort.